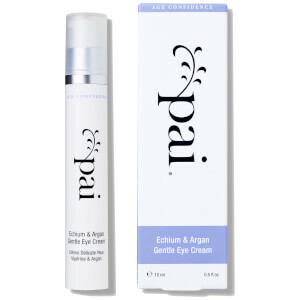 Catering specifically for very sensitive skin, the Pai Gentle Genius Body Wash utilises natural cleansing agents and nourishing organic ingredients to eliminate irritation and feelings of tightness. Infused with Camellia Oil and Magnolia Berry, the luxurious shower gel effectively cleanses delicate skin, whilst soothing and moisturising for long-lasting comfort. Use in conjunction with the Konjac Sponge to create a generous foam that leaves the body feeling smooth and hydrated with an uplifting fragrance of Bergamot Oil. Made with eczema, dermatitis and psoriasis in mind. Wet sponge before use. Massage a small amount of wash onto the skin and create a generous foam. Rinse and allow to dry after use. With a little care, your sponge should last for up to 3 months. Aqua - Purified Water, Glycerin - Organic Derived Vegetable Glycerine, Polyglyceryl-4 Oleyl Ether Olivate - Naturally Derived Emulsifier, Caprylyl/Capryl Glucoside - Naturally Derived Surfactant, Decyl Glucoside - Naturally Derived Surfactant from Sustainable Palm Oil, Lactobacillus & Cocos Nucifera (Coconut) Fruit Extract - Skin Conditioner from Coconut, Camellia Oleifera Seed Oil - Camellia Oil, Coco-Glucoside - Naturally Derived Surfactant from Sustainable Palm Oil, Glyceryl Oleate - Naturally Derived Emollient, Olive Oil Polyglyceryl-3 Esters - Naturally Derived Surfactant, Ricinus Communis Seed Oil - Castor Seed Oil, Mangifera Indica Fruit Extract - Mango Extract, Acacia Senegal Gum - Gum Arabic, Schizandra Sphenanthera Fruit Extract - Magnolia Berry Extract, Chondrus Crispus Powder - Naturally Derived Thickener from Seaweed, Xanthan Gum - Xanthan Gum, Lecithin Naturally Derived Emulsifier, Tocopherol - Natural Vitamin E, Sodium Levulinate - Naturally Derived Preservative from Sugar Cane, Lactic Acid - pH Regulator from Sugarbeet, Potassium Sorbate – Preservative, Citric Acid - pH Regulator, Sodium Anisate - Naturally Derived Preservative from Basil, Citrus Aurantifolia Oil - Orange Oil, Citrus Aurantium Bergamia (Bergamot) Fruit Oil -Bergamot Oil, Hydrogenated Palm Glycerides Citrate - Naturally Derived Emulsifier from Sustainable Palm Oil, Ascorbyl Palmitate - Antioxidant Vitamin C, Limonene, Linalool. Contains nut oil. A very comforting cleanser. Skin feels very soft. This product feels so beneficial to skin pampering. The fragrance is tranquil.